This gorgeous pre-felt fabric is 100% Australian Merino Wool, processed in Europe by lightly needle felting the fibers into a sheet. 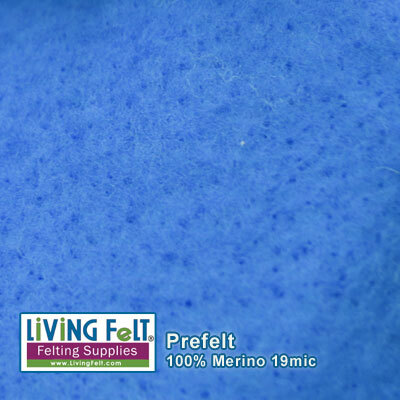 This prefelt is wonderful for making felted garments, scarves and shawls where "next to the skin" soft is oh so important. This prefelt light, soft and can be divided into even thinner layers. Cut out distinctive shapes for felt inlays and overlays. 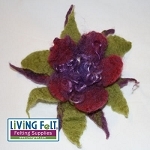 Smaller sizes may be most suitable for needle felting projects such as for clothing and accessories of smaller sculptures. Medium sizes are great for piecing into to wet felting projects and inlays. Larger sizes are great for wearables. *During busy times, custom cuts of yardage may add 1 day to shipping. 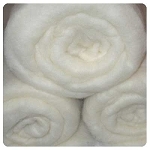 *The weight of this prefelt is not suitable for pictures, please see our PFX prefelt batts.